A community program that serves Anderson County in South Carolina has received a $25,000 grant from a national fatherhood organization in an effort to create more initiatives that teach fathers to be more engaged in the lives of their children. The grant comes from the National Fatherhood Initiative and will go towards the Fresh Start Community Development Corp to improve the home life and potentially reduce crime in the local area. According to Fresh Start, 93 percent of young criminal offenders in Anderson County did not have a father at home, the Independent Mail reports. It’s the group’s thinking that having a strong family could one day reduce the number of young adults embracing a life of crime. "It’s our continual desire to build strong families," Erik Bradshaw, Fresh Start executive director, told the news provider. "As we provide relevant programs and services for youth along with affordable housing initiatives, we cannot afford to forget about the value that’s added to families when fathers are concerned, connected and empowered." 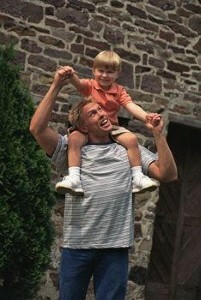 Studies have shown fathers who use their parenting skills to interact with their children can form a strong bond.